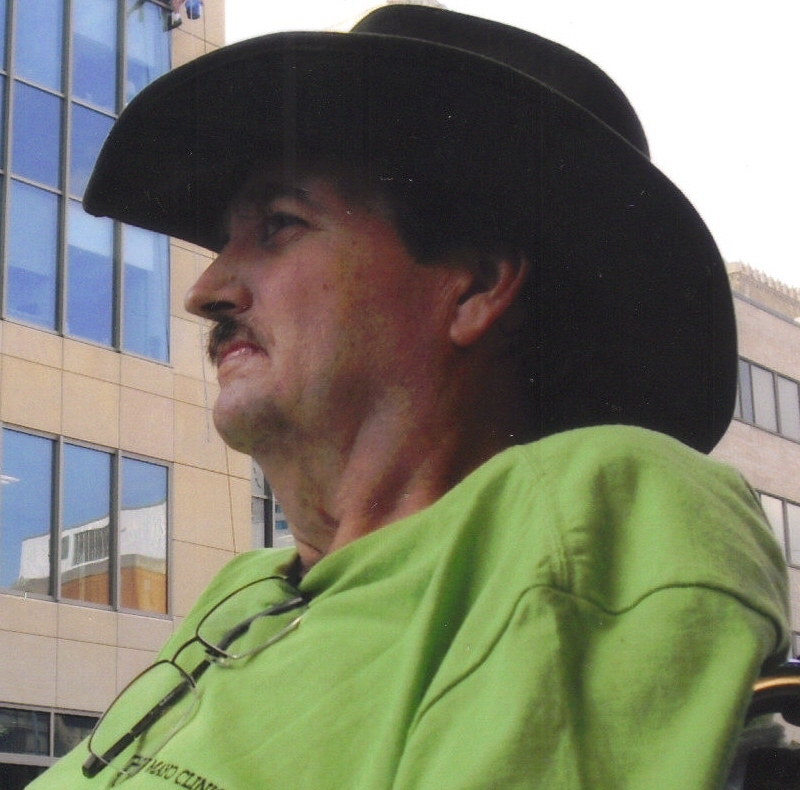 Daniel York, 51, of Linn, Kansas, died peacefully March 24, 2010 surrounded by loving family and friends at the Avera Dougherty Hospice House in Sioux Falls, SD after a long battle with cancer. Dan York was born on October 9, 1958 in Decatur, Ill to Sam and Carol York. Dan married Jane (Pearson) York on July 24, 1998. He retired from the United States Navy with Full Military Honors with an Honorable Military Discharge in 1999. He worked for J-Six Corporation and owned and operated York Kennels. He is a member of First United Methodist Church in Linn, Kansas where he served as a lay minister. He had a gift for spreading God's word to the hearts of congregations as a lay minister. His most beloved work also included his work with breeding and training hunting dogs, as well as guiding many hunts for other hunters. Dan was also well known for taking in strays and either finding them good homes, or keeping them as pets. Dan led a life of service, to his country, his church and his beloved animals. He passed this gift of serving others on to his children. Grateful for having shared his life are his parents: Sam and Carol York, of Decatur, Ill; his wife: Jane (Pearson) York; daughter: Nancy York, of Freeport, TX; daughter Dallas York, Decatur, Ill; son: Sam York, Decatur, Ill; son: Nick Hintz; daughter: Hunter York, Hartford, SD: and son: Daniel York of Hartford, SD. He is also survived by his siblings brother: Curt York, of East Helena, MT; and sister: Shelley (York) Phelps, of Oakley, Ill and many nieces and nephews who loved him very much. He is preceded in death by his grandparents. A Memorial Service for family and friends will be held at Barnett-Lewis Funeral Home Sioux Falls, SD on Monday, March 29 at 10:30 AM with visitation beginning at 9:30 AM. Immediately following the service there will be a memorial gathering at the American Legion Auxiliary, Hartford, SD. In lieu of flowers or gifts, the family asks that memorials be sent to Home Federal Bank in Hartford, SD. The family would like to thank Avera McKennan Hospital Oncology staff and physicians, and the Avera Dougherty Hospice House for their loving care. The family has requested from family and friends any special photos or stories about Dan to be sent to his wife's email address at janeyork09@yahoo.com. These pictures and memories will be compiled into a memorial book for his family as a remembrance of this very special man.